Choose from our range of BSI BS85992-2 compliant motoring first aid kits supplied in either a first aid box or first aid bag. 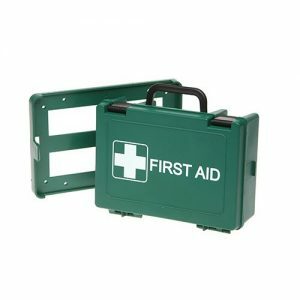 BS8599-2 motoring first aid kits are suitable for bikes, mopeds, cars, commercial vehicles, minibuses or coaches and the size of the kit required is dependent on the number of passengers. The BS8599-2 motoring kit in small will cover up to three passengers, medium motoring kit will cover up to eight passengers and a large kit will cover up to 16 passengers. More information on the kit content for the BS8599-2 motoring first aid kit including guidance to help you find the correct size is available on the product page and size guide tab.